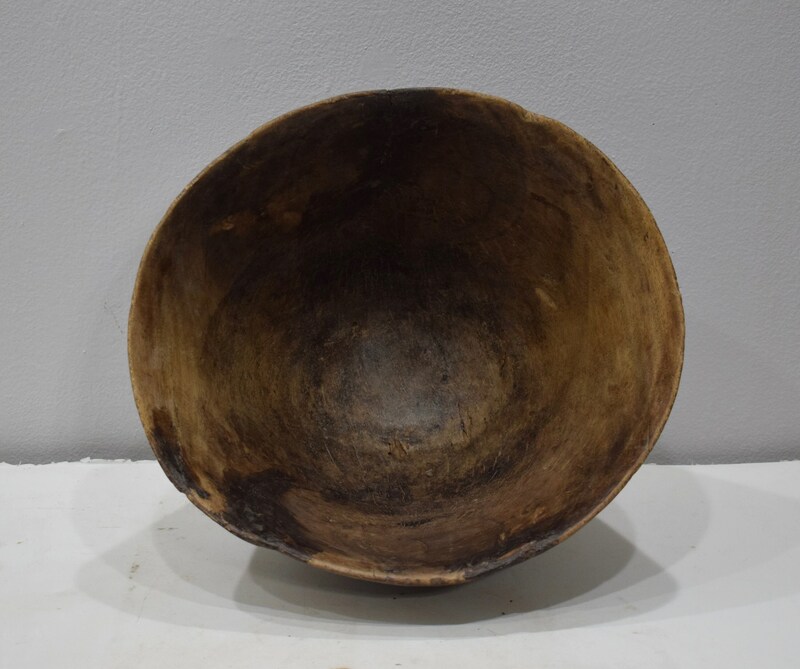 This is a beautiful old Tuareg Bowl from the Tuareg people of the Sahara Desert. The Tuareg are fiercely independent nomadic people. The Tazawat milk or food bowl has a fine patina from use and age . 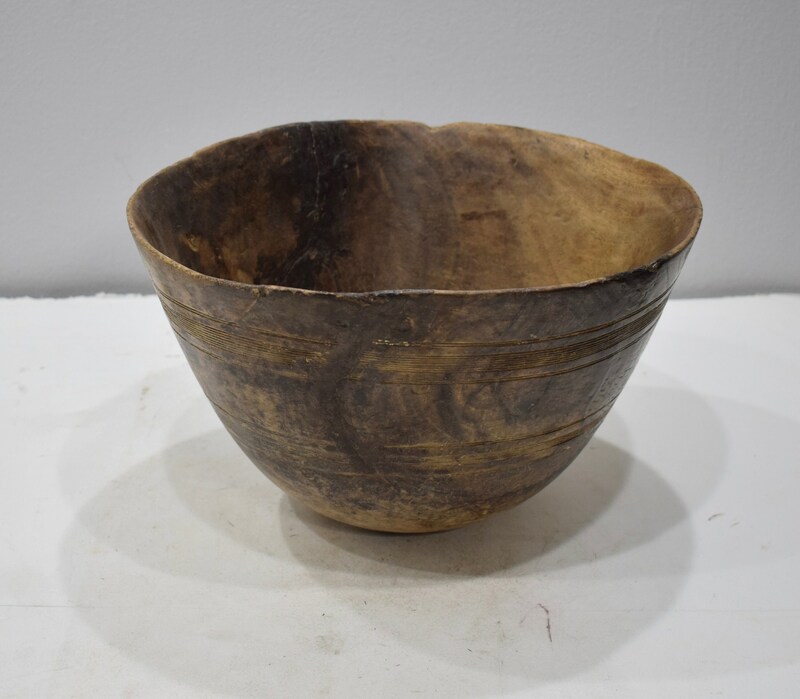 Such a bowl was highly prized and passed down from one generation to the next, repaired and repaired again, and used for the preparation and serving of food. 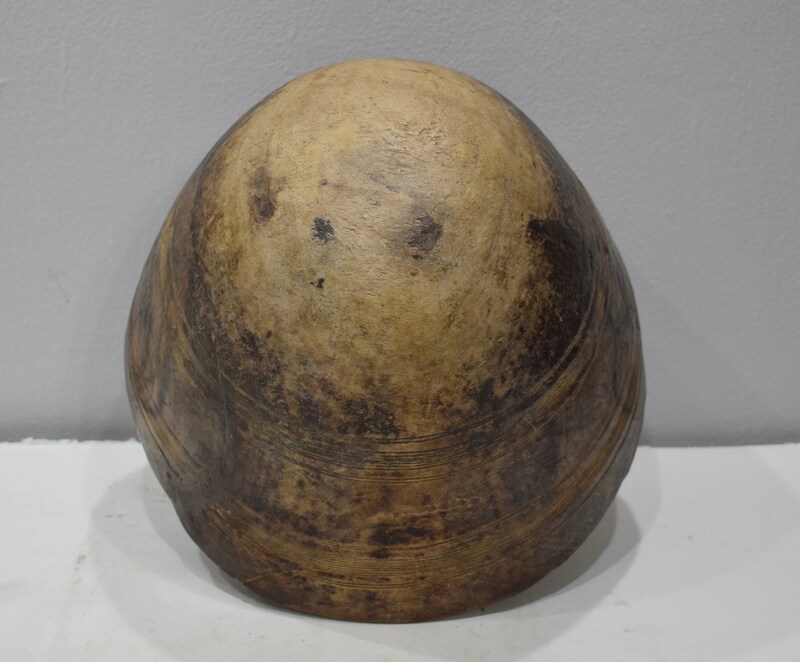 Like other Tuareg utilitarian pieces, the bowls are carefully incised with geometric designs. 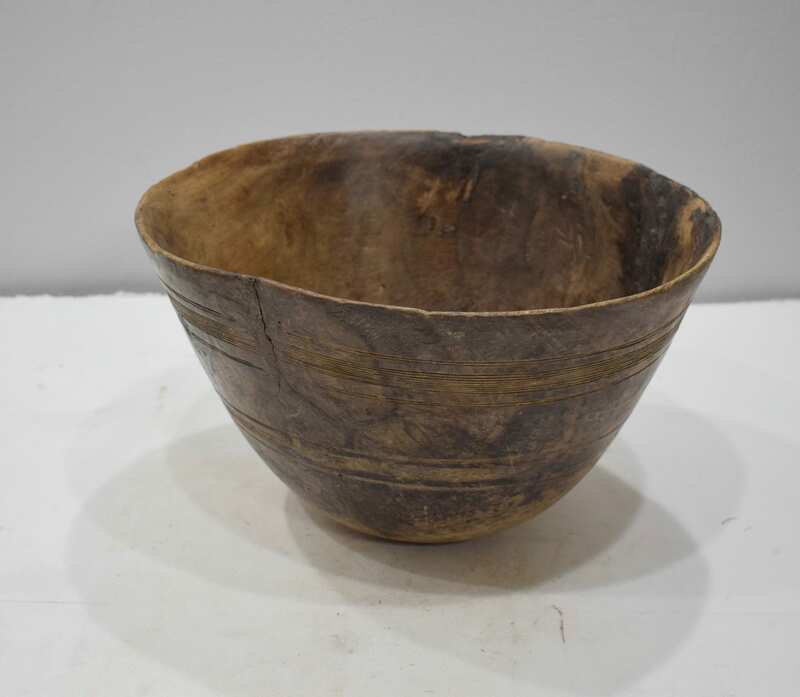 This bowl is old with much use and age. It would be beautiful as home decor or given as a gift. Shows age, native repairs, but in good condition.